Blackburn band The Illicits are doing Blackburn proud whilst making headlines with their music. 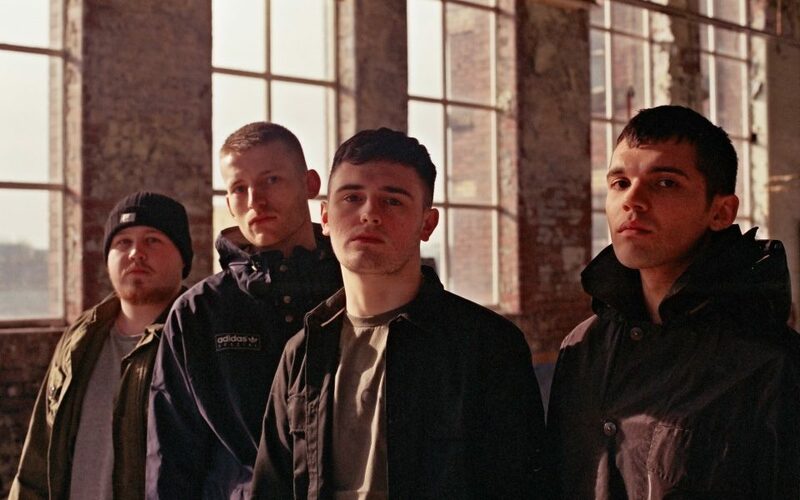 Taking inspiration from a variety of sources, such as the Stone Roses, Joy Division, and The Jam, the band’s sound is a reflection of the town they grew up in. A trailer for their new single is now live on the two digital screens in Blackburn. The band formed in 2016 – George Richards, on vocals and guitar, Brad Hayes, on lead guitar, Joe Mitchell, on bass and Matt Cottam on drums. In January this year they were signed by Alan McGee to his label Creation23 who are selling vinyl releases through their website. The Illicits first 7” single ‘In What World’ releases on May 7th but is almost sold out on pre-orders alone. They have been supporting the local music scene for the last few years and their recent sold out performance at Blackburn’s Electric Church saw dozens without tickets turned away due to the capacity. Their forthcoming gig at the end of May at the Clitheroe Grand sold out the 450 capacity in the first 48 hours of going on sale with no advertising and no music available. The promoter SJM said they haven’t seen a new band sell tickets like that since the Arctic Monkeys. They are supporting The Zutons and the DMA’S in the coming weeks and Liam Gallagher is reportedly impressed by their music. They performed live and were interviewed on Soccer AM on Saturday March 16. It was the first time they have had a band on the show that have yet to release a record after the presenter Fenners heard and loved the single. Blackburn Rovers have got behind the band with the video for their forthcoming single shown at half time at Ewood Park. The band recognises that it’s the local support that is driving them forward. Everyone at Blackburn with Darwen Council wishes them all the best for the future! Keep up to date with The Illicits by following them on Facebook, Twitter and Instagram. You can find out more about their most recent live tour dates on their website.